Let’s start interactive. Before proceeding, please Google Dutch scientist Maarten Kleinhans. This slide is what he started his presentation with, and with it this blog. I’d say that this is not too bad for someone not on Twitter, LinkedIn, Facebook or writing a blog. When asked, he said he didn’t have time for these things. Others, like the university or the Academy, were doing the press releases and the tweeting for him, and he didn’t think he needed all that hassle anyway. He’d rather invest in a really good website, oh, and in his outreach and research of course. 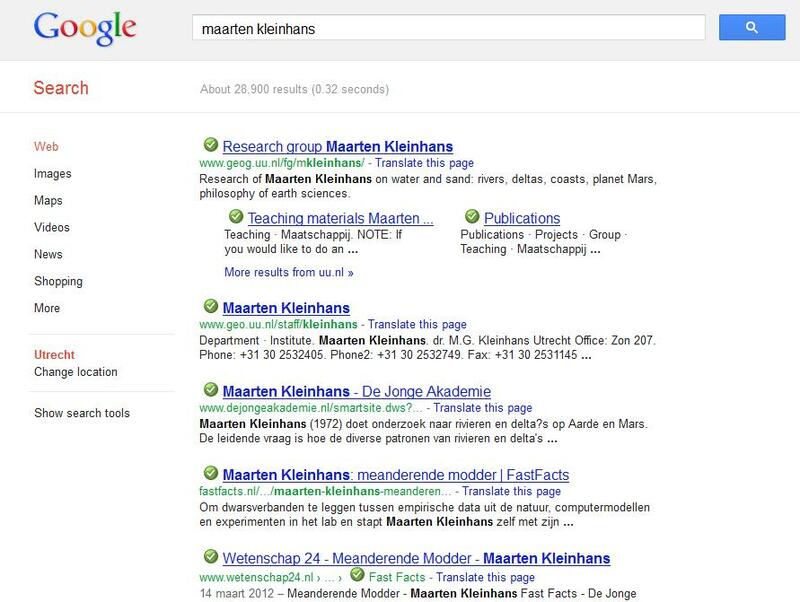 Just one thing: Maartens personal website, first in the Google list, is a personal page at the Utrecht University website. When I asked him what he would do if ever he would continue his career at another university, he replied that he would take all this stuff and start his own personal page. As he has quite an extensive website, that would mean a lot of work. During the conference lunch I talked to – among others – Julio Peironcely (#FF @peyron) who blogs on www.nextscientist.com (must read) and Alex den Haan (#FF @alexdenhaan) about scientific careers and relationships / family life (sidetrack, don’t ask). Julio’s take: as a PhD you are at some university for three years, as a postdoc somewhere else for another two years, and who knows where you’ll end up after that, which makes relationships potentially more difficult. 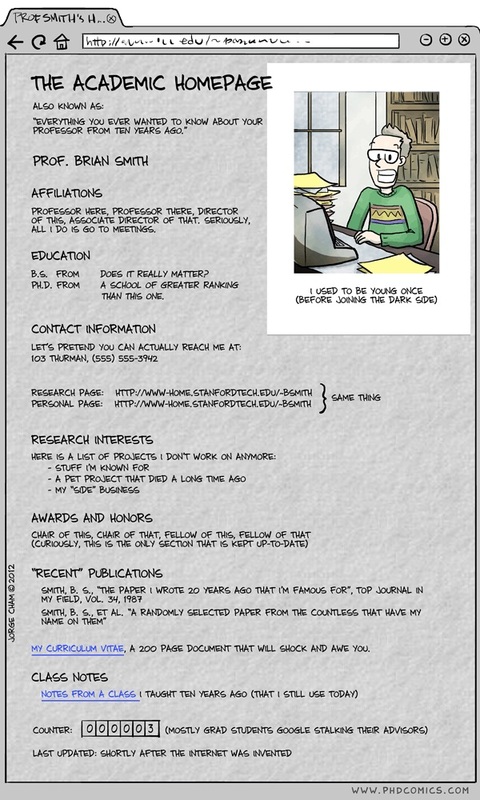 So, potentially a lot of changes early on in your scientific career, and – more on topic and more specifically – potentially a lot of different personal webpages on different university websites. Which – to me – would make it pretty obvious that a (young) scientist is much better off investing in a really good personal website outside of the university’s webpages. I’m sure universities and uni libraries are developing all kinds of nice and spiffy ways to implement relevant repository searches into the personal pages at university websites. 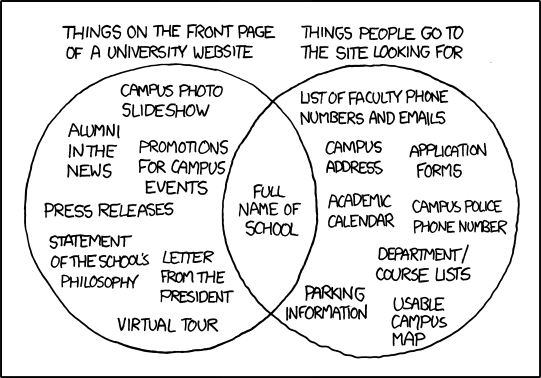 And having a space on a university website does wonders for your Google ranking, so I’m told. But if we are to take all this science-2.0-personal-branding-through-social-media-stuff seriously, my advice to scientists would be to really invest in your own personal website, not your university one. You must, of course, use your university webpage as a redirect page – rather how Wouter’s page is set up -, making use of all helpful functionalities being offered, but put your money and your career on your own website. Hey Roy, but why are you blogging this on a university weblog system? Or is it really easy to transfer to another site when you move to another employer? Yes, great question. Part of the reason for writing this blog is that – with hindsight – I somewhat regret using the university system now. Seemed like a logical thing to do at the time. I would certainly not start there now. I also don’t know my options when I decide to switch jobs and won’t be able to log onto the system anymore with my TU Delft employee password. I was planning to ask the person in charge of the blogs how that works this week and will definitely report back!